We have focused our operations in Nellore and Prakasam districts of Andhra Pradesh. We have been addressing the needs of the people, who have not been met by the development concerns. The regions where we have been working are marked by castiest discrimination. What is worse is that nothing can be percieved on the surface but village life seems to go on well and everyone living harmoniously. The undercurrent of discontent among the oppressed classes of Dalits and Adivasis is visible only to an experienced eye. The discrimination is rampant and any interaction between the two-upper and lower castes has to be only at the behest of the upper castes and not the other way. If a Dalit or an Adivasi attempts to take the initiative in building intimacy with a member of the upper caste, it is deemed heresy. There have been cases when the entire Dalit habitation has been targeted for such “heresy”. In one instance the entire Dalit population was denied access to drinking water, in another instance the habitation was tortured. It is a matter of pride for us that we have been successful in meeting the aspirations of the unreached oppressed Dalits and Adivasis of these districts in such hostile environment. Every joy in the heart of the Dalits and Adivasis we serve is the reward for our work. 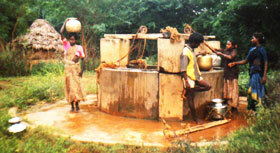 As of today there are still a large mass of people in the rural areas who are unreached by the development activities. Part of the reason for their neglect is because these people are considered to be outside the mainstream society. We wish to increase our presence in the service of such communities. Encouraged by our ability to bring about a significant improvement in the lives of the underprivileged we have served. We intend to continue our services to reach a wider audience of the underprivileged and are proposing to expand our operations to Guntur, Krishna, Kurnool, Anantapur and Rangareddy districts of Andhra Pradesh. It is significant to note that the status of Dalits in these regions is pathetic and what is worse is that in these regions the oppressed classes are disempowered and do not possess any assets. We take pride in the achievements of the people we work with. It is a matter of joy and our chests swell with pride when we see students from these oppressed majority score remarkable grades in academics apart from bagging the awards for their performers. These sparks that were being threatened to be snuffed out by the dire poverty have been able to light up to a brilliant future. Our commitment is strengthened when ever parents write thanking us. This inspires us to go a head and do more. We have been able to educate thousands of ignorant oppressed people in their medical and health rights. Awareness has been created about the need for personal hygiene and clean neighbourhood. With the improvement in the overall health, these people have been able to take up gainful employment for longer stretches of time and thus earning higher income and for a longer period. We have been able to get youth trained and get gainful employment in the region. In fact many have opted for self-employment thereby generating further employment opportunities! Women in these remote regions have always been at the receiving end and we have succeeded in economic empowerment of these people and today they are able to save in thousands of rupees and are also became masters of their own destiny. They have started microenterprises which are also providing employment to many more. Our public relations wing has been able to get these oppressed Dalits and Adivasis their due share of the State-sponsored development schemes. Our retreats have enabled these people to appreciate the world around them better. Unfortunately there is still a large mass of our society who need succour. These unreached sections of our society are suffering due to lack of basic amenities like access to organised healthcare. Many of the people in the areas we work do not have a proper hospital within their reach. A 30-bed Hospital on the borders of Nellore and Prakasam disrict to ensure access to quality healthcare to the underprivileged Dalits and Adivasis in both the districts. 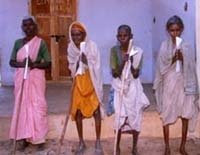 It is the lot of the Dalits and Adivasis to suffer in ignorance thier diseases. AIDS has become a major issue among the unreached members of society. 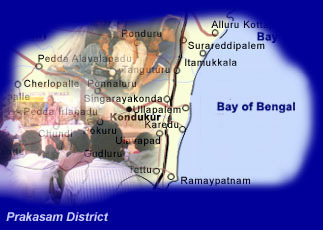 We intend to increase our activity in this area with awareness camps and educational programmes. Today Tuberculosis is surfacing again and in many unrecognisable ways. It is reaching epidemic proportions in many areas. We intend to proactively join the battle against this consumptive disease. The light of education that we have been able to light among the children of this unreached masses need to be tutored and meticulously nurtured to ensure their continued success in life. COREED plans to set up a Residential School for 1000 meritorious students of the voiceless resource challenged sections of society. This project would ensure that the students who have benefited from our coaching would be able to continue their studies and achieve something in life. We intend to provide quality education to these bright sparks who would be able to light their lives and bring hope to their community. COREED intends to set up Women Developments Centers at every village to give them a place of their own to meet. 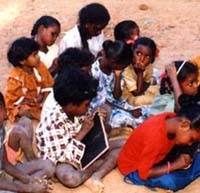 This center would also be available resource for the learning and earning center for this oppressed section of society. © Copyright 2001 COREED. All Rights Reserved.